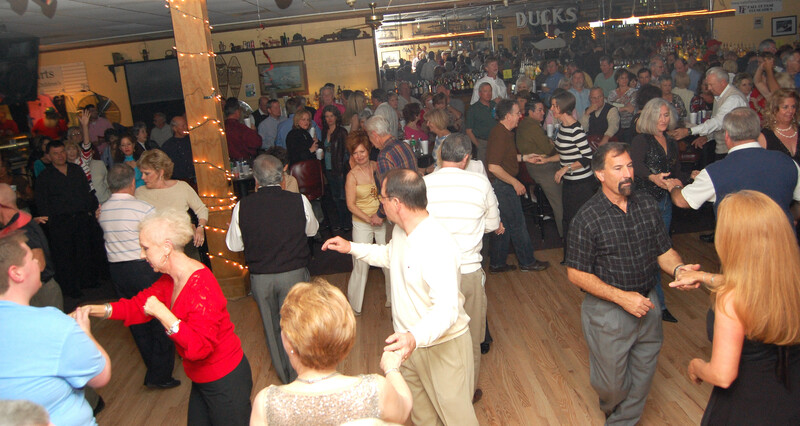 The Grand Strand is known for many things but one of the most iconic aspects to come out of this area is the shag, the renowned swinging dance that calls Myrtle Beach its birthplace. Coming into prominence from back in the early 1940’s, the shag owes its existence to the sounds of R&B music that emanated nightly from African-American beach clubs along Ocean Boulevard. White teenagers were drawn to the music and the lively dancing at the clubs, often watching from balcony areas in the clubs and combining these new moves with the dances they already knew. As the demand for the R&B that played at these clubs led to the music getting radio play, the shag’s popularity exploded along the Grand Strand. While many dances have fallen by the wayside over the years, the shag has remained an integral part of Grand Strand culture and spread out far across the US. During the fall each year, the most die-hard shaggers flock back to North Myrtle Beach for the SOS (Society of Stranders) Fall Migration event, a ten-day long celebration of classic beach music and dancing that has brought fun and fellowship to the Grand Strand nearly eight decades. During the Fall Migration, shag enthusiasts will head to the most popular beach clubs like Ducks, Fat Harold’s and the Pirate’s Cove to enjoy the sounds of classic and mode beach music hits from top area musical acts. The celebration kicks off with Fun Sunday where the street area at the OD Arcade will be shut down allowing people to enjoy live music, dancing and meeting with fellow dancers from all over the country. The SOS organizers know that this is one of the most popular nights of the festival, so they do it again the next day with Fun Monday, this time taking place in intersection of Main Street and Ocean Drive in North Myrtle Beach. Following the first two days, the action will shift nightly to the area clubs along the North Myrtle Beach coast. Even if you’re not an official Strander, all are welcome to visit the nightly parties at these clubs. Don’t know how to shag? No problem! Many of the clubs will be offering free instruction courses to lea the basics of the shag as well as some more advanced steps and techniques. Along with the SOS Fall Migration, the coming weeks bring welcome cooler temperatures from the blazing days of summer but still enough warmth to splash and play in the Atlantic. With all this, what could be better than a September getaway to the Grand Strand? If you’re planning to visit for the SOS Fall Migration or just to enjoy North Myrtle Beach, Beach Vacations offers amazing accommodations at Barefoot Resort that are sure to delight you and your guests. And with our great fall booking specials, your North Myrtle Beach vacation will be more affordable than you ever imagined! Make plans for your trip to North Myrtle Beach today and let Beach Vacations help you book in just a few minutes!